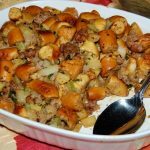 Soft pretzels, beer, sausage, onion, apple and mustard, make one fantastic side dish for Thanksgiving or Octoberfest! Preheat oven to 350 degrees. Butter a 9 x 13-inch baking dish; set aside. Spread pretzel pieces evenly onto two rimmed baking sheets. Bake for 20-25 minutes until the pretzels are dry and slightly toasted (do not burn). Remove pretzel pieces to a large bowl; set aside. Meanwhile, in a large skillet, over medium heat, fry sausage until cooked through and no longer pink. Remove cooked sausage to a plate. 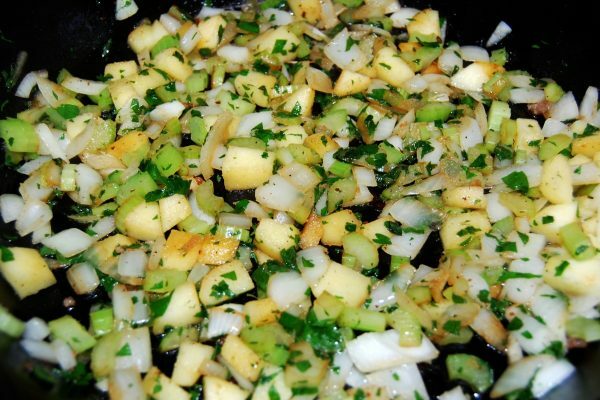 Add celery, onions, apples and parsley to the skillet with remaining sausage grease. Season with salt and pepper to taste. Saute until softened; about 5 minutes. In a small bowl, whisk together eggs, beer and chicken stock. Pour mixture over pretzel pieces. 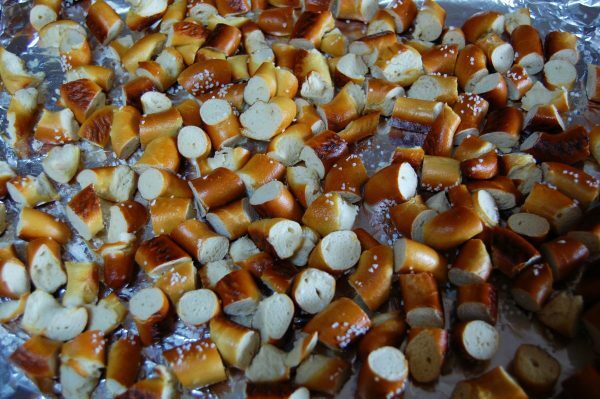 Gently toss until most of the liquid is absorbed by the pretzels. 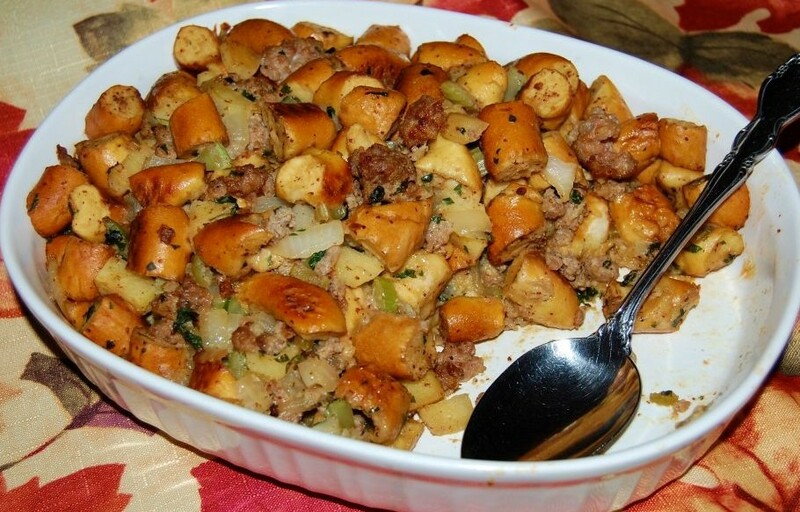 Fold in sausage and onion mixture. Pour the stuffing into the prepared baking dish. Bake for 35-40 minutes. Cover with foil about half way through baking.